I packed in hundreds of ways that I’ve found bargain properties and a step by step guide to setting up your business brand. This is far and away the most popular question of the day. How Do You Find Great Deals on Houses? I have been asked this question for many years that I decided NOW was the time to answer it. A few of these topics will be for someone new in the business, but they are all effective when applied with thought and conviction. And there is plenty for the advanced investor too. I have also added stories from my real life experiences. If you are a meat and potatoes kind of person and just want the facts, you may be tempted to skip some stories. Be careful, more often than not, there is a nugget or two in these stories and there is always a mindset forming theme. Every way depicted in this book can result in the consummation of a great deal, but there is no one way to get all the deals an aggressive investor wants. There are inexpensive ways to cultivate leads and there are very expensive ways to create leads. I’ve come to know that most investors start out on a shoestring budget. I started on a shoestring budget. So with that in mind, I’ve tried to start with the less expensive ways first. I made a major mistake when I first began mining for deals. I didn’t do some basic things that would have made branding my name a much faster process. If you get some things right from the start, you’ll have everything pulling in the right direction from the beginning. Best book purchase in years. This book is one of the most helpful books I have purchased in years. I have been buying and selling houses since 2005 and my single biggest problem is finding properties that fit my buying guidelines. Mitch provides new ideas and techniques in this book that increase my odds of finding houses that actually meet my criteria. If that is not “wow” enough he also took several techniques that I previously discarded and explained how to implement them in a way I never thought of. Those ideas, techniques, and explanations translate into increased income for me. I cannot emphasize enough my recommendation to buy My Life & 1,000 Houses – 200+ Ways to Find Bargain Properties. His writing style is both enlightening and fun and the content is appropriate for both new and experienced real estate investors. If you, like me, want to see an increase in the number of deals you are currently doing then follow Mitch’s directions in this book. I do not believe it will come to you any easier than this. Do it! My 3rd Book is NOW Available on Amazon! This guy is awesome! I have been very successful with my real estate investing, making more money by far than anything else I’ve ever done in my life but I was doing it the hard way, being a landlord, rehabber/flipper, wholesaling, etc. 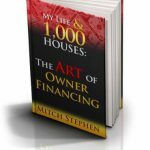 Mitch takes the easiest and most profitable path in real estate investing and that is selling houses on owner financing. I do what he does. I currently have a mixture of 56 properties/notes and I just love his model where you don’t deal with contractors or tenants, which have been my two arch enemies of investing! I am currently a student of Mitch’s and it is a phenomenally good deal – a year long program. I’ve been doing the owner finance for a little over a year, he’s been doing it for over twenty. He handles mine and the other students questions very well and almost always has some very good ideas to help us along. Another thing I really give him a lot of credit for is that he always answers all of our questions on our weekly call. He never leaves until all the questions are answered. Can’t say enough good stuff about the guy, he’s the real deal and down to earth. · How to get paid to build your cash flow. · How to generate cash flow without being a landlord. · How to get paid six ways on your deals. · How to recognize what properties are good to owner finance. 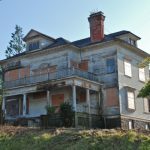 · How to make money on properties that aren’t good to owner finance. · How to find private money for your deals. · How to sell notes with little to no discount. There is a definite reason why this book is priced the way it is. Owner Financing can be a very lucrative strategy for building wealth. When we have the right mindset and fully understand the unique supply and demand dynamics of this strategy, the owner financing model is good in the good times and a boom in the down turns. So, exactly when is it you fail? There is always a way to fail and when you know the pitfalls you are aware to avoid them. Red = Expenses, Green = Income, Blue = Important numbers to recall. Color separation makes a big difference when you are learning to grasp new concepts in profitability. Owner financing often goes against the grain of traditional real estate. I have lived and honed and morphed this strategy for over 20 years spanning well over 2, 600 transactions. There are over 200 life changing pages; any one idea could make you thousands of dollars. There is enough information in this publication for a mover and shaker to launch an entire career. One revelation, one shift, one mind altering idea can change the entire direction of a life and the destination it is bound for. 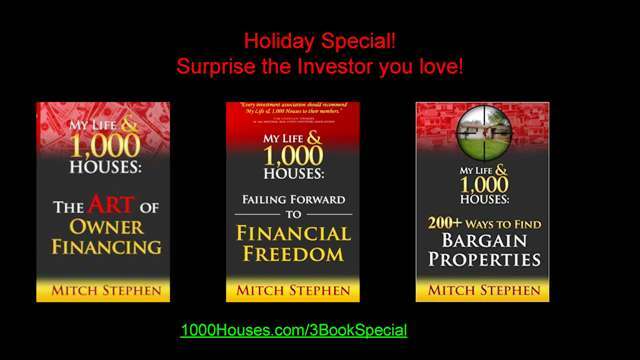 Author Mitch Stephen has been a self-employed, creative real estate investor for over 20 years. This book, MY LIFE & 1, 000 HOUSES: The Art of Owner Financing, is an insider’s look at a very powerful strategy for building wealth quickly. on and on? If so, this book is a must read! For years the gurus of the day have been selling us the “Buy & Hold” myth. Most landlords have fooled themselves into thinking they’re making money. the rental income they calculated on paper never makes it to their tax return. Mitch can show you exactly why this is happening and how to stop it from happening by using a strategy that is less known and grossly misunderstood. The owner financing strategy changes everything! Change your property’s value. Change your community for the better. Change your buyer’s life, and change your personal financial situation in the process. All kinds of doors open when we stop using broken down traditional techniques and start thinking outside the box. And best of all, 90% of the deals are done with none of your own money! The strategies in this book are mind-blowing! 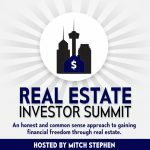 Mitch believes that real estate investing is a tremendous strategy for acquiring wealth. He has helped new investors find their place; He has helped veteran investors re-invent themselves by BECOMING THE BANK! This is a must read for anyone wanting to understand innovative ways to purchase the right houses at the right prices. This book is truly a Game Changer! Most investors have some shelf-ware “Books they bought, but don’t use!” This book is one that I will keep as a reference guide to success. No shelf-ware here! Mitch helps solve the mystery of how to truly be successful in the Real Estate Business. In a market where no one wants to share the How To’s, Mitch offers the tools and steps to make it happen! He offers an honest way to Financial Freedom that makes sense. It was like reading my favorite book ” Hard to put it down”. He writes in a format easy to understand, transparent, blended with great humor! 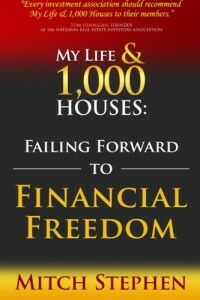 If you want to be successful in Real Estate and Wealth Building, this book is a must read. The Art of Owner Financing is as practical guide to financial freedom and success. 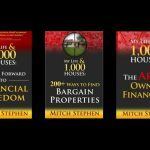 Mitch Stephen explains in everyday language not only the definition of success and financial freedom, but how to reach these goals through the fine art of buying property right and selling to end users. I have been in the house business over 45 years and stilled learned new techniques from this book. I highly recommend this book for beginners and seasoned investors. Please add mitch@1000houses.com to your contacts and whitelist .